Luv R Blinds is the local leading service provider for shades, shutters and window blinds. Since first launching the business in 1992, we have always made it a point to go above and beyond, when it comes to taking care of our customers. There is no reason to settle for less than the best, when it comes to any aspect of your home, including your window treatments. Picking out your window coverings is about getting just the right look, but also about getting the features that you need. For instance, if you want to make your life easier you may want to opt for motorization. Imagine being able to control all of your window treatments, with the simple touch of a button. Our job is to make sure that you are well aware of the options that you have and that you can make a choice you will feel confident about. However, our goal is to deliver our services in such a manner that you will feel that we have met and exceeded your expectations. Don't settle for anything less than the finest, when it comes to every last detail that goes into making your house a home. 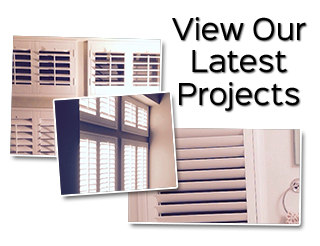 Here at Luv R Blinds, our shutter company wants to be your La Verne shutter company. Of course, your budget is important to have in place. We offer a wide variety of budget-friendly options, but know some people have more windows to cover. We can help you understand ways to stretch your dollars, such as opting for faux wood instead of real wood. For some people, one of the most important factors is getting privacy and security. This is why it helps to partner with a professional who can help you better comprehend what would work best for you. Too often, homeowners make mistakes like getting sheer shades when they actually want privacy. Plus, whatever you select should offer you the right amount of light control that you and your family want and need. Don't forget the impact that this will have on the appearance of both your interior and exterior. Your window treatments are visible from both inside and outside the house. So, the choices that you make will affect the interior design aesthetics and the exterior curb appeal. So, choose wisely. It also depends if you want the same uniform look in each room, or a unique look for each. Plus, the purpose of the room and the amount of light it gets will also influence the options that you have and your decision making. For instance, you may want real wood, but that won't work in rooms with humidity, like the bathroom. So, you will have to make choices accordingly. 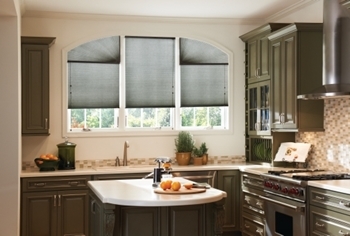 Luv R Blinds offers products and service that is simply unsurpassed. We care about our clients which means making it a point to provide the best possible results. Yet, other companies tend to be more concerned with pushing leftover warehouse overstock on their customers. We offer only the finest in custom-made window blinds and other treatments, which is how you can be certain that you will love the final results that we deliver for you. We will show you all of the options that you have and help make certain that you pick what will work best for you, as well as look best for your home. Get in touch with us today so we can begin working together with you to find the best window dressing solutions for your home. If you are looking for a window blinds, shutters and shades company in the La Verne, California area please call 951-736-9650 or complete our online request form.